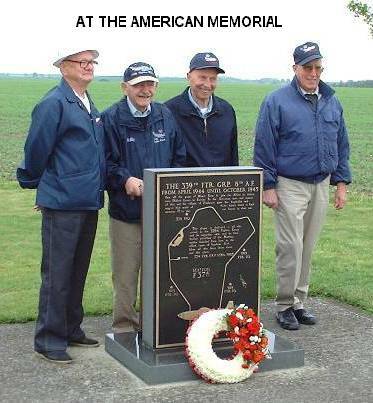 339th Veterans Bill Perry, Gil Cohen, "Dutch Eisenhart, and Carl French lay a wreath at the 339 Memorial. 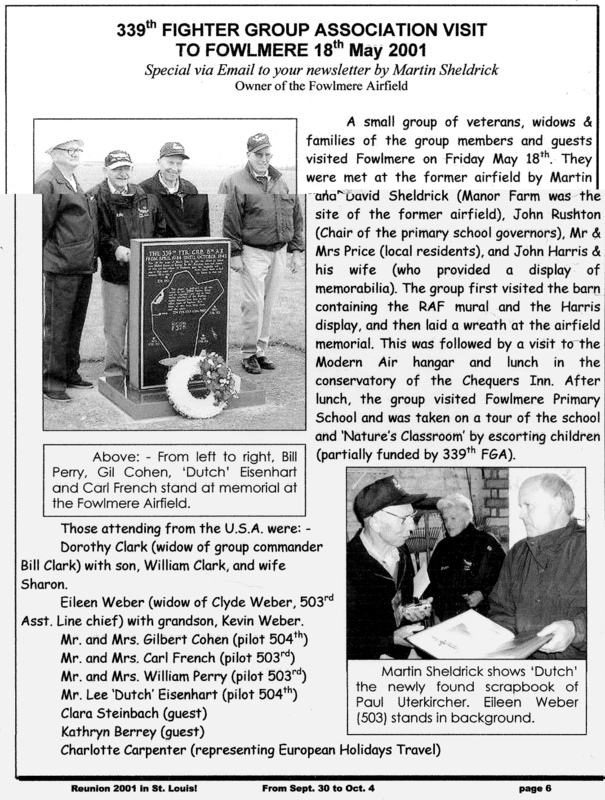 339th Veterans Gil Cohen, Carl French, Bill Perry, and "Dutch" Eisenhart at Manor Farm. 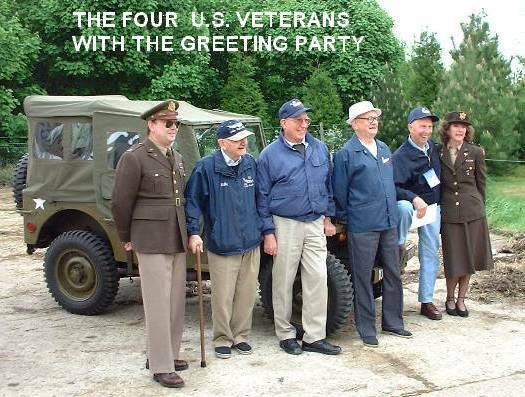 They are flanked by greeting party of John and Laureena Harris. 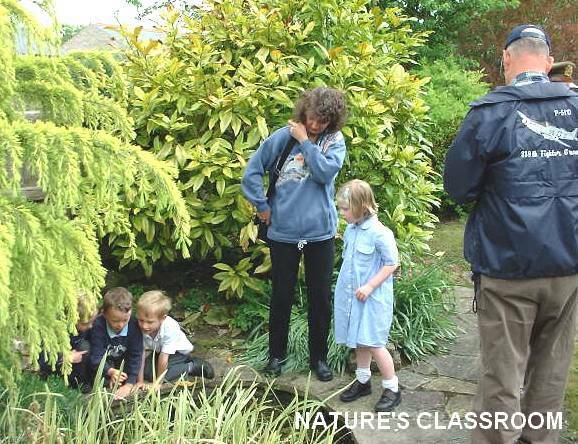 Fowlmere Schoolchildren show off their garden to the 339th members. 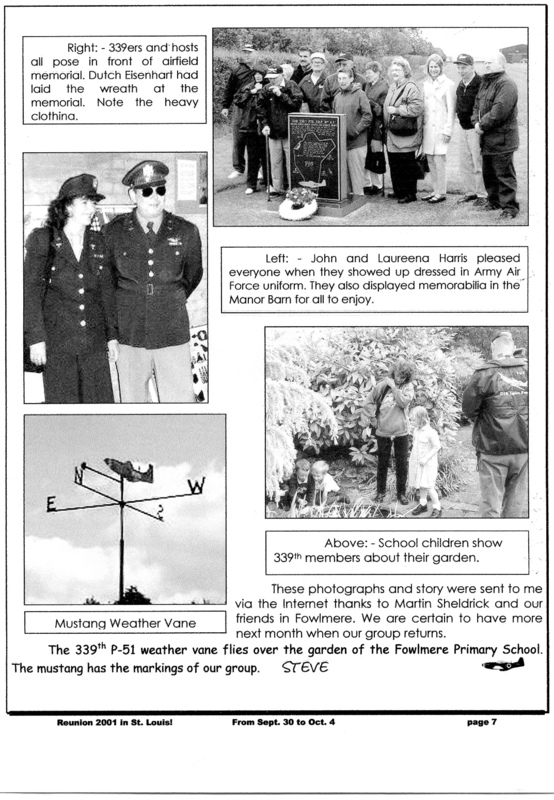 Compare these photographs of "the huts" from WWII when the 339th was stationed at Fowlmere to "the huts" today in Fowlmere Village.